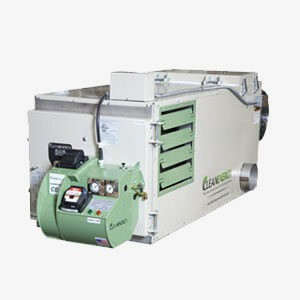 Our new line of waste oil furnaces is more innovative, more efficient and easier to service than any other. And because our furnaces operate on used motor oil, transmission fluid and other petroleum products, they generate solid return-on-investment in addition to helping the environment..
An entry level waste oil furnace that’s perfect for smaller spaces. Save your business money by turning used oil into heat. Featuring 245,000 BTU/hour of output. (Clean, safe heat for all types of businesses. Featuring 175,000 BTU/hour of output. 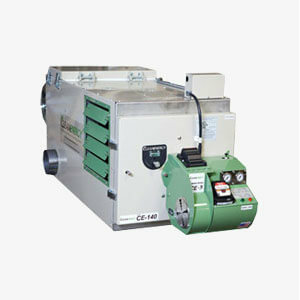 With 325,000 BTU/hour of output, the CE-330 can easily heat large areas while saving you money. Have a question about our hydrogen fuel systems?